This year I got to 32 screenings, the majority at the Hyde Park Picture House. My choices were nearly all booked in advance from the programme, often with little background knowledge. This can mean missing out on some films that turn out to be very popular, but also means a lot of delightful surprises. Now that the experience has had time to settle, here are the films that stuck in my mind. A lot of my highlights were in the Time Frames section, and were in black and white: Night Train (1959), 12 Angry Men (1957), Odd Man Out (1947), The Docks of New York (1928) with live musical accompaniment, and my festival favourite La Notte (1961) which is just beautiful. I also enjoyed comedies like After Hours (1985) and Happy New Year, Colin Burstead (2018). One of the things I like about the Festival is the rare chance to see films made in areas of conflict, often in the face of physical danger and on a financial shoestring. 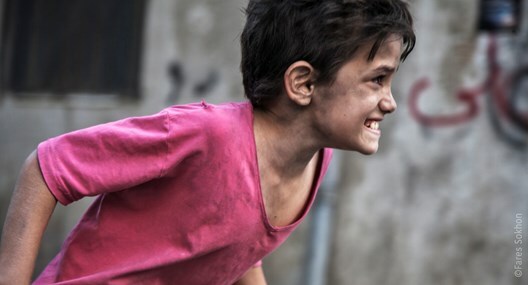 I would highlight Capernaum (2018) set in Beirut, The Journey (2017) set in Baghdad, and The Reports on Sarah and Saleem (2018) set in West and East Jerusalem. They were nicely complemented by the thoughtful documentary What is Democracy? (2018). Then there were delightful films like The Kindergarten Teacher (2018) – another top film for me -; a very funny Japanese food-based comedy Tampopo (1985); In The Aisles (2018) set in a huge German supermarket; and highly original Belgian animations This Magnificent Cake + Oh Willy (2018). I avoided headline films like Peterloo (2018) and Suspiria (2018) because I know that I’ll soon be able to catch them when they are released more widely. A big thank you to everyone who made LIFF 2018 possible. Tuesday November 12th at 1230 p.m. and Wednesday November 14th at 3. 15 p.m. at the Hyde Park Picture House. The film is screening the ‘Time Frames’ series. It was directed by an Afro-American woman, Julie Dash. It is a seminal film for both the Afro-American and the USA Independent cinemas. The basic story-line follows the migration from a Georgia island by women from an isolated and creole speaking community, once enslaved on plantations, in the early 1900s. However, the film has an unconventional use of time and space and an unusual narrative voice. 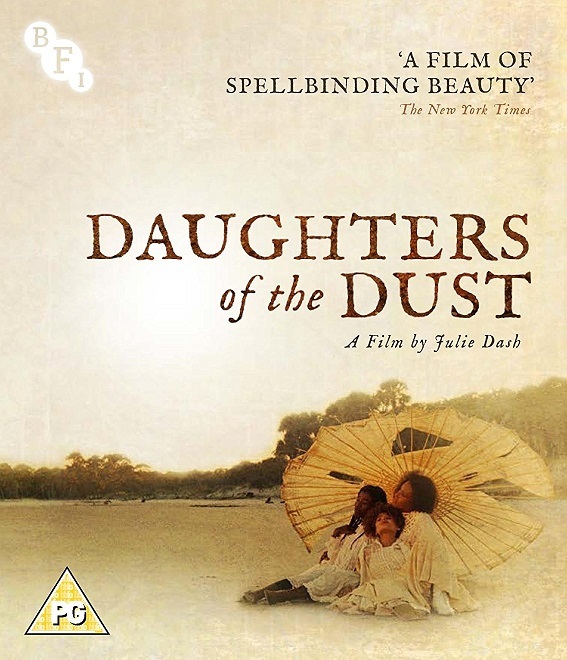 This enables Julie Dash and her team to provide a film that is full of vivid imagery, metaphors and symbolism. It also dramatises the clashes within Afro-American cultures between tradition and the modern. The film was partly funded by PBS American Playhouse after being turned down by major studios. Unfortunately none of Dash’s subsequent productions have received proper distribution. It remains her only well-known title despite a considerable output for cinema and television. The film could be challenging; apart from an unconventional narrative it eschews sub-titles for the Creole [mostly understandable]. But it is a rich and compelling work. The film was originally shot on 35mm in colour and standard wide screen. It has now been restored and is distributed in a digital format. Hopefully this will do justice to the original. For two decades after its initial release it was not seen at all in Britain, so this is a welcome return. The film runs 112 minutes. Screening at the Vue in the Light on Saturday 10th November at 1030 a.m. And on Sunday 11th November at 3.30 p.m. This is a new film from the developing Palestinian Film Industry and it is both a welcome feature in LIFF and [as in previous years] launches the Leeds Palestinian Film Festival which runs on until December. 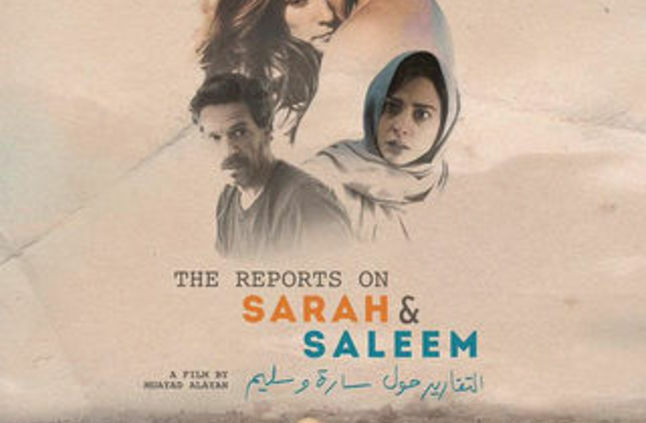 The film deals with an affair between two married people, a Palestinian man and an Israeli woman. Affairs between Palestinians and Israeli’s have been a staple of the cinemas of both Palestine and Israel but adding marriage to the complications is rarer. The film combines the thriller genre with the romantic drama genre. The film is the work of director Muayad Alayan and [his brother] writer Rami Musa Alayan. They have worked together on both a feature and short films but I have not seen any of these. As is often the case the production relies on funding from a number of different countries, Netherlands, Palestine, Germany and Mexico. The film was shot digitally in both East and West Jerusalem with their contrasting cityscapes and cultures. It is in colour and a 2.35:1 ratio with Arabic, Hebrew and English dialogue and sub-titles in English. It promises to be an engaging and thought provoking film. Palestinian film-makers have become expert at combining cinematic genres with political issues and characterisations. NB. The Festival online pages do not seem to have an straight alphabetical listing,; I found the title under country [Palestine]. Vue Monday November 5th at 2 p.m. and Wednesday November 7th and 3.45 p.m. I was very impressed with this new title. Set in New York it presents the responses of three different characters to a shooting of an African-American male by the New York City Police. Thus it addresses one of the most contentious issues in the USA today. The shooting occurs at the start of the film and then we follow the three very different protagonists – John David Washington as Dennis Williams, Anthony Ramos as Manny Ortega and Kelvin Harrison Jr. as Zyrick – as they grapple with the event and the fallout both in the Department and in the local community. The setting is the 84th Precinct in Brooklyn. The plot follows each man in sequence, though they also appear in each other’s story, providing an underlying and binding narrative. But we watch more than just these three men. An aspect of the film that I especially liked is the way that it represents the family and community lives of the protagonists. We see parents, partners, offsprings, friends, colleagues and the activists in the community. Whilst the action is the streets is often dramatic the domestic scenes have a different tone but are equally fascinating. This is a fine socially conscious drama but also a drama that holds the interest all the way through. It is in colour and full widescreen, running 95 minutes. The cast, both leading and supporting players, are excellent. The cinematography by Patrick Scola and the editing by Justin Chan and Scott Cummings is very well done. The film relies very much on location shooting. There is an excellent and not over-intrusive music score by Kris Bowers. The Festival catalogue lists the film as an 18 Certificate. There is not yet an entry on the BBFC web-pages; whilst there is violence and strong language at times I find this an overly unnecessary classification. The title is screening in 11 at Vue, a large auditorium with a large screen. The level of illumination during a feature is suitably low, not always the case at Vue. However, they do not mask ratios that differ from the 16:9 screen. And there is a central aisle, a design weakness as you get latecomers blocking views as they enter. In the case of this title we had a group wander in, climb up to the back, sit down, start talking, switch on a mobile phone and then get up and leave. Clearly the wrong feature for them: a recurring problem in multiplexes. The full programme for the 32nd Leeds International Film Festival (LIFF2018) is out now. The film guide should be available to pick up in the usual places, including the Picture House (an online version doesn’t seem to be available yet). 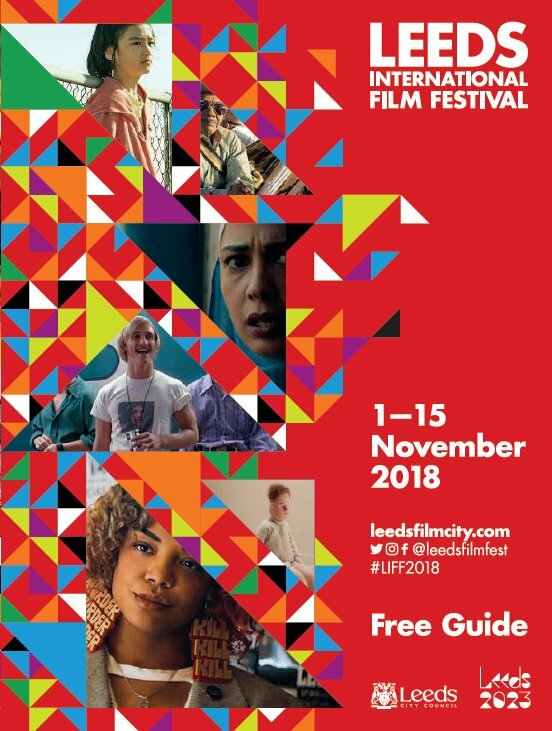 The programme is on the Leeds Film City website, a Clashfinder has been put together which is really useful tool to help plan your festival and there’s a Letterboxd list of all the films. There are more than a hundred films to choose from as well as several programmes of short films and other events. The difficult process of deciding what to see begins and we’d love to hear what you think of the programme and are planning to see; let us know in the comments and we look forward to seeing you in November. And the best film not screened at the Festival, Oktyabr / October 1917 (Ten Days that Shook the World, 1928), co-written and directed by Sergei Eisenstein. ‘Orphée ‘ – a Festival highlight. This year’s Festival includes eight screening sourced from 35mm prints, [baring accidents]. I make this one more than in 2016, progress. All the films will be projected at the Hyde Park Picture House as the only other venue in Leeds with 35mm projector, The Cottage Road Cinema, is not participating in the Festival: shame. In another example of progress all the titles are listed in the printed ‘Free Guide’ and are noted on the Festival Webpages. Stephen has already mentioned the ‘breakfast’ screening of Amelie (France 2001). The Deputy / El diputado is a Spanish thriller from 1978, filmed in colour and standard widescreen. The plot involves a left-wing politician, the police and security services, black mail and even treason. The treatment makes all of this both complex and fascinating, widening the story with sexual orientation. The Lives of Others / Das Leben der Anderen (Germany, 2006) was a popular success on its initial release. 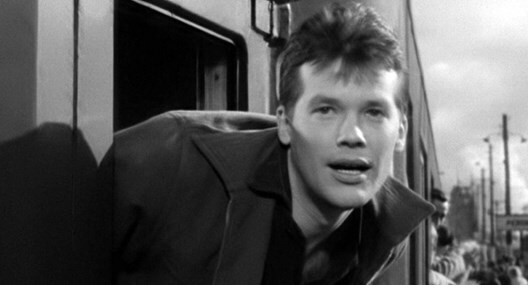 It studies the situation of an artist under the Stasi in the German Democratic Republic in the 1980s. What makes the story dramatic is a borrowing from Victor Hugo’s great novel ‘Les Misérables’. 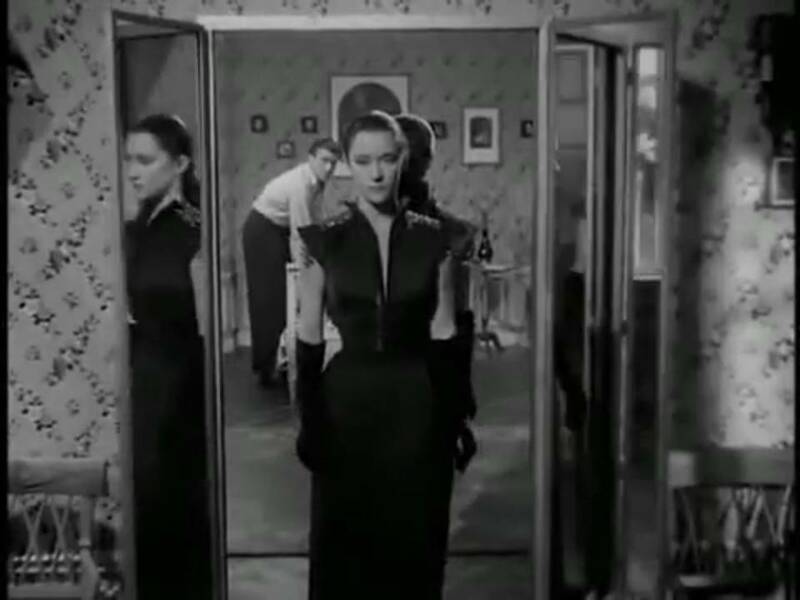 Orphée (France 1950) is a film version of the famous myth by poet and artist Jean Cocteau. The film has a dreamlike quality and is full of actions and settings beloved of the Surrealists. The black and white cinematography really does deserve to be seen on film. The Party and the Guests / O slavnosti a hostech (A Report on the Party and the Guests, Czechoslovakia, 1966) was part of the 1960s ‘new wave’ and was banned for many years. The film only appeared in Britain in 2008. Shot in academy and black and white, the film is an absurdist drama, at times reminiscent of Samuel Beckett. Seven Days in January / 7 días de enero (Spain, 1979) is a thriller based on actual events. Aftert the welcome death of General Franco and Spain’s transition to a more democratic society elements from the fascist past attempted to undermine the process. Taste of Cherry / Ta’m e guilass (Iran, 1997) is one of the fine films from this country’s art/independent sector. The director Abbas Kiarostami is noted for his minimalist approach. Here, in another Iranian film set mainly in an automobile, we spend a few hours with a man debating a fundamental question. Volver (Spain, 2006) is another excellent drama from Pedro Almodóvar. This is a film centred on women and the fine cast, as a collective, were awarded the Best Actress Award at the Cannes Film Festivals. This is mainly a dramatic comedy but with many of the issues that always fill Almodovar’s films and titillate audiences. Classic Almodóvar at the Festival. Surprisingly several other films in the retrospective section are on digital even though I am pretty sure that 35mm prints exist. These include Satyajit Ray’s memorable Aparajito (India, 1956) and the more recent and compelling The Headless Woman / La mujer sin Cabeza (Argentina, 2008) directed by Lucretia Martell. But the most serious lacunae in the programme is the complete absence of Soviet titles. The Centenary of the Great October Revolution [in the new style calendar] falls within the Festival. If this is not recognised as the most significant event of the C20th then surely the cinema it inspired, Soviet Montage, should be. It was the most challenging but also the most influential film movement in C20th World Cinema. It seems that we need a seminar on film history for the Festival office. I could have added another 5 quite easily. The Art of Negative Thinking – Scandinavian filmmakers excel at combining disability and humour. Certain Women –Three well crafted stories, four excellent performances. Mimosas – Very fine visually but the story requires careful thought and study. Old Stone – A good Samaritan suffers under Chinese capitalism. Woman of the Dunes – A black and white classic in a good 35mm print. Mindhorn – The funniest film since What We Do In The Shadows. I’d forgotten how fantastic it is to see an incredibly funny film in a packed cinema. We laughed so hard we probably missed half the jokes. Followed by a brilliant surreal Q&A. A Man Called Ove – Perfectly combining humour and humanity, everything comes together to remind you there is some good in the world. The Autopsy of Jane Doe – The best horror film I’ve seen in some time. Delivers intelligent thrills and never outstays it’s welcome by becoming too silly. Breakfast at Tiffany’s – Seeing this projected (from 35mm) gave me a new appreciation and managed to completely charm me where I’d previously been underwhelmed. Two Lovers and a Bear – A complete surprise, I knew nothing about this film and found it all completely delightful. This was the strongest festival I remember and I’d recommend nearly all the films I saw. My next 5 films were Pet, The Birth of A Nation, The First, The Last, Life Animated and Paterson. Certain Women – Kelly Reichardt’s most fully realised film to date. Maile Meloy’s short stories perfectly compliment each other, providing a perfect counterpart to Reichardt’s earlier adaptations of Jon Raymond. Great performances from the central cast, especially Laura Dern and relative newcomer, Lily Gladstone. Mister Universo – Tizza Covi and Rainer Frimmel’s simple fiction played out by real life members of the Italian circus community. A beautiful intersection between fact and fiction, that functions as both a road movie and an affectionate family portrait. The Woman of the Dunes – Teshigahara/Abe’s Sisyphusian nightmare. A classic. So glad I got to see this on a big screen on 35mm. Graduation – Doting father, Romeo, walks moral tightropes in this austere drama from Cristian Mungiu. Shades of Haneke’s Hidden in it’s creeping sense of dread. Mimosas – Ecstatic fiction, quasi-western with the Atlas mountains as a backdrop. Shakib Ben Omar is a wild, charismatic lead. A natural heir to Ninetto Davoli.